Kirill Prigoda also mentioned the American DQ in the medley relay. Throughout the whole short course world champs, Michael Andrew was vlogging and documenting his travels and experiences abroad and with Team USA. 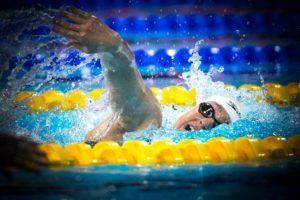 The Australian contingency saw glimmers of hope for Tokyo 2020 with such performances as Brittany Elmslie’s 100m freestyle gold medal. The Americans won the team trophy at the SC World Championships with 8 gold and 30 total medals to lead the tally. Canada’s Javier Acevedo led off tonight’s mixed medley relay in a time of 23.58, breaking the Canadian Record in the 50 back. The previous record had stood for 15 years at 23.90, posted by Riley Janes set at the 2000 NCAA Championships. Acevedo then tied that time at a time trial meet in December of last year. 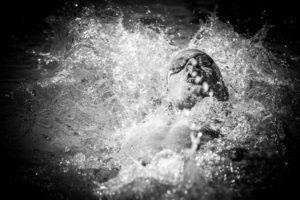 He also broke the FINA imposed Junior World Record of 23.71. 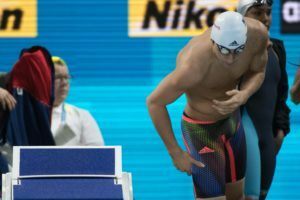 He is the first junior swimmer to dip below that mark since Junior World Records began being recorded in the 25m pool at the beginning of 2015. Acevedo just missed the semi-finals in the same event this morning, clocking a time of 24.11 for 18th place. He led off the same relay this morning in 24.01. Canada wound up 5th in the final of the relay in 1:38.98, just five one-hundredths shy of the 4th place Chinese and half a second back of the bronze medal winners from Japan. Along with relays, Acevedo still has the 200 back on his schedule. He finished 13th in the 100 back semis on day 1 in a best time of 51.16, and swam an anchor leg of 47.31 on Canada’s 400 free relay that placed 7th. Someone needs to check the rules, but I think mixed relays openings aren’t allowed to count as records(It happened with Etiene Medeiros and Ryan Murphy before). Fina may not recognize world records on mixed relay lead offs but it is each nations choice wether to accept a mixed relay time as official or not. You are correct. 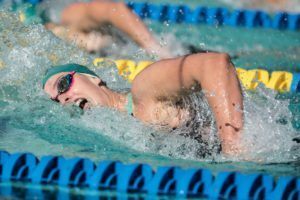 Libby Trickett also broke 100 free WR in 52.99 in 2007 Duel in the Pool’s mixed relay, swimming next to Michael Phelps, but was not recognized by FINA. Were the 2000 NCAAs in SCM?? Yes it was, just like in 2004. Anthony Earvin breaking the 50m free WR in that NCAA was like an omen of what’s to come in Sydney a few months later.